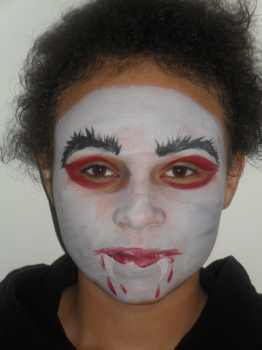 The coolest vampire face painting ideas are here for you to look at also get some free face painting ideas. I'm sure I don't have to tell you how much FUN kids have with these kind of toddler activities. 1. 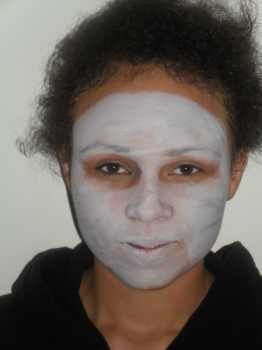 To start cover the face in a white/grey paint as in the picture. 2. 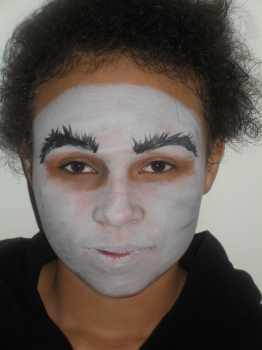 Next using black paint create some large bushy eye brows. Now using a thin brush and black paint add some lines around the eyes. Effectively exagerating the eye shape. 3. Now using red paint fill in the shapes you have made around the eyes. Then paint the lips with the same red paint. 4. Finally using white paint create two fangs. Then using the red paint add some blood drops on the chin. There you have a great face painting design for halloween. 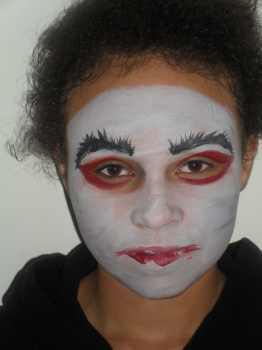 If your looking for more face painting ideas then this video below shows you how to face paint a vampire.